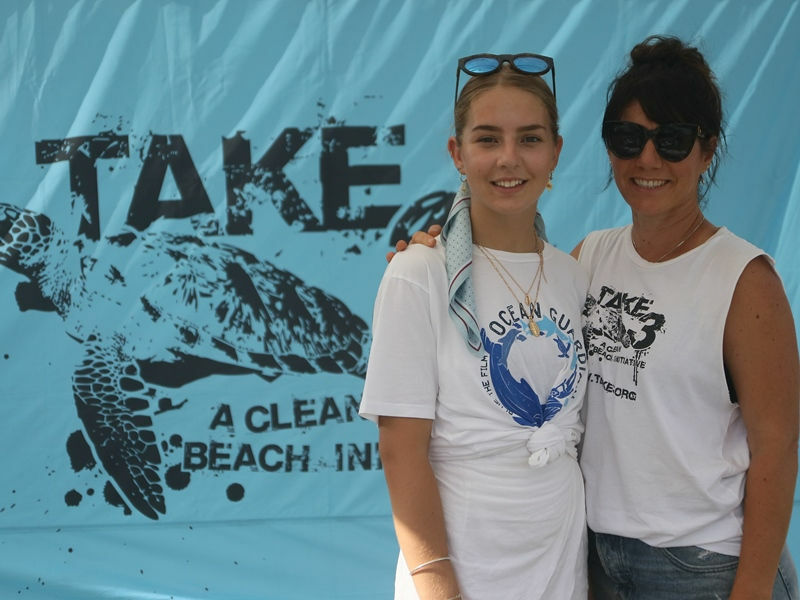 Clean Up Australia Day – Mollymook Beach. 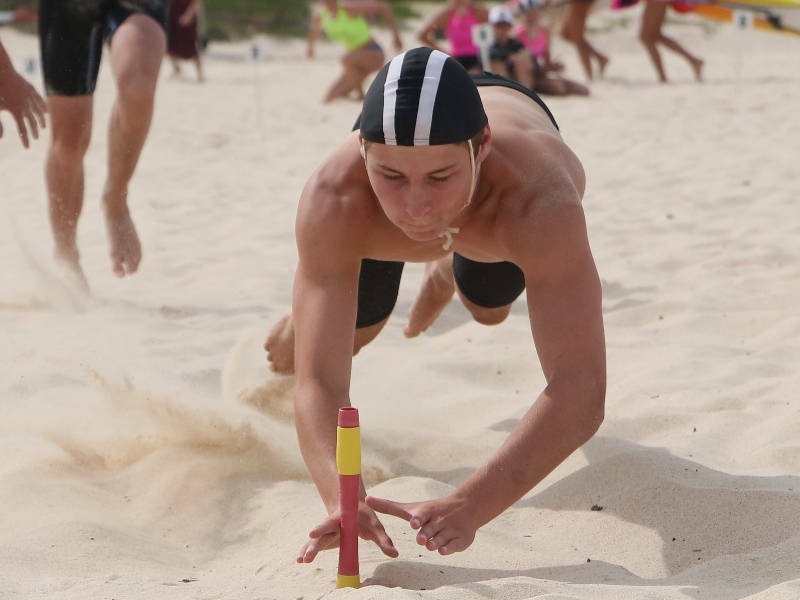 Could the Mollymook Ocean Swimmers and Take 3 for the sea supporters let Moni or Ken know if you can help so we can provide numbers to the Golf Club. Email from Graeme Wolfenden last night, and swimmers Garry H. and John L. asking me this morning for a progress update. So I sent an email to Chris who responded with the attached pages of his draft, progress to date. (This draft covers some of the introductory pages in response to Graeme W. kind request). I’m sure we will be happy with his finished product, he is an expert in this field. 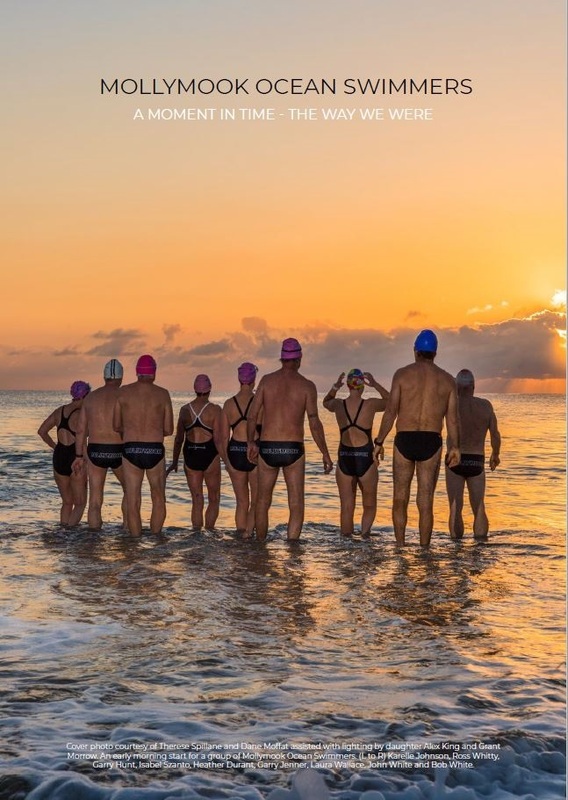 So here is a brief insight into what we can expect, a book about us Mollymook swimmers. (An error or two in this draft to be corrected). Click on images to make them a little larger. Having been a regular visitor to Tathra throughout the 1990’s and early 2000 – 2008 period, there were not many eating out options in this seaside village. Invariably on most visits we would suffer a meal or two at the old Tathra Hotel. The wine list was almost nonexistent, so it was generally a beer and be entertained by the publican with his nightly whale show. Its now 2019 and by chance we made an unexpected trip to Tathra. As was our custom in the old days we decided to pay a visit to the hotel. We were blown away with its transformation. Gone are the poker machines and TAB and in with the new. The new included an extensive complete renovation with the exception of the outside facade. Beautiful dining areas both inside and outside that make the most of their majestic ocean views and to top it all off a fantastic dining experience that would put some of the so called ‘fine dining’ establishments to shame. To add to their decor and nourishment’s were the choice of many craft beers on tap, including their own craft beer made on site. Experience the best of world movies at your local cinema through the Travelling Film Festival! 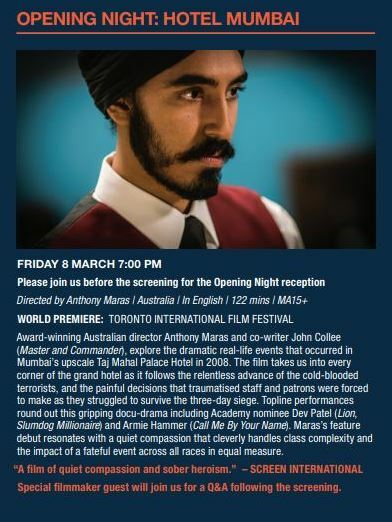 Screening at Arcadia Twin Cinemas on 8-10 March. 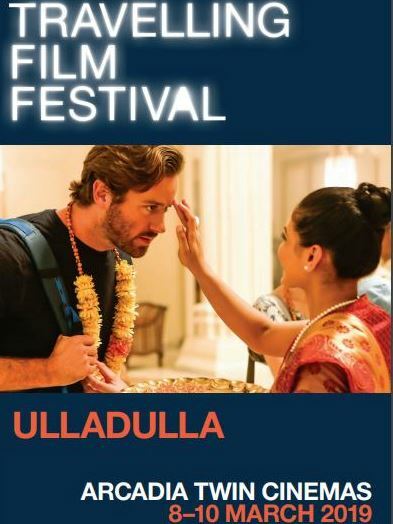 Join us for the opening night film, HOTEL MUMBAI, by Australian director Anthony Maras and starring Dev Patel (Lion, Slumdog Millionaire) and Armie Hammer (Call Me By Your Name).